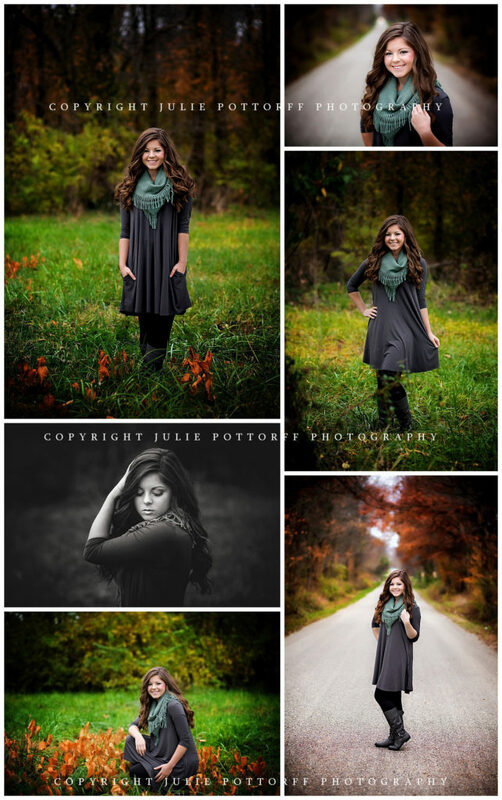 Southern IL Senior Photographer | Meet Bailey! She is a member of student council, pep club, fccla, fca, as well as the basketball, tennis and softball teams. Needless to say, she is one very busy girl! Bailey went with the Timeless Senior experience, and she looked absolutely amazing for her session, thanks to Abie Shelton at The Hair Garage. She brought several layered Fall looks with her, and they all looked fabulous! Bailey was so great to work with during her session, and her mom was even gracious enough to hold my reflector for me 🙂 Bailey’s mom was actually my 6th grade teacher, so it was weird to have her doing work for me this time! For the record, I enjoyed having her as my teacher back then and she is still just as wonderful as she was! And, Bailey, thank you so much for choosing to work with me! 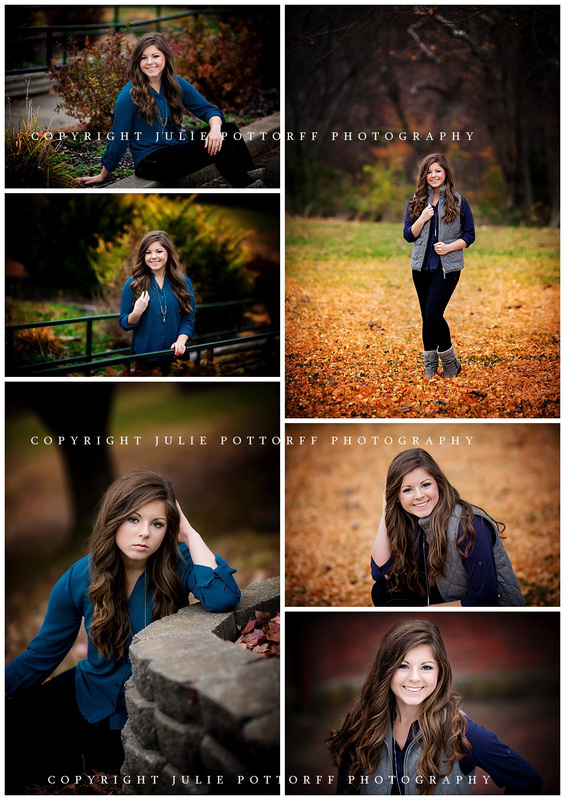 I really appreciated working with you, and I’m so glad you loved your pictures!! 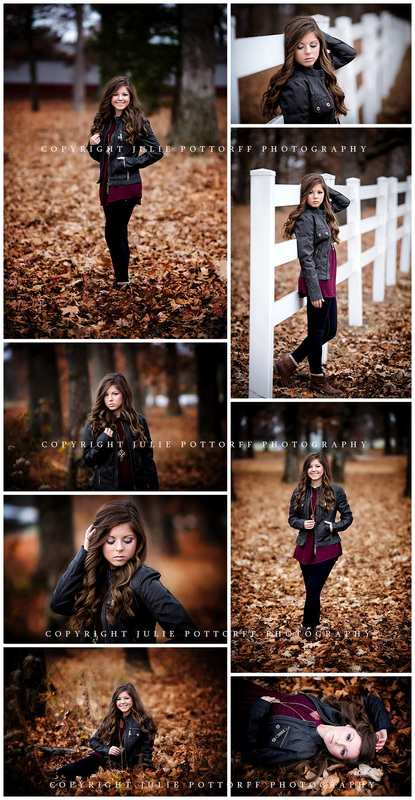 If you’re looking for a Southern IL senior photographer, I’d love to photograph your senior session! Now is a GREAT time to book your session, whether you’re a 2017 or 2018 high school graduate. I frequently travel to the Chicago West suburbs, so if you’re in that area or able to travel there and would like more information or to book a session, email me at julie@juliepottorff.com. Otherwise, most of my sessions take place in and around the Flora area in southern Illinois.